IMPORTANT: This shirt runs true to size and has unisex sizing. 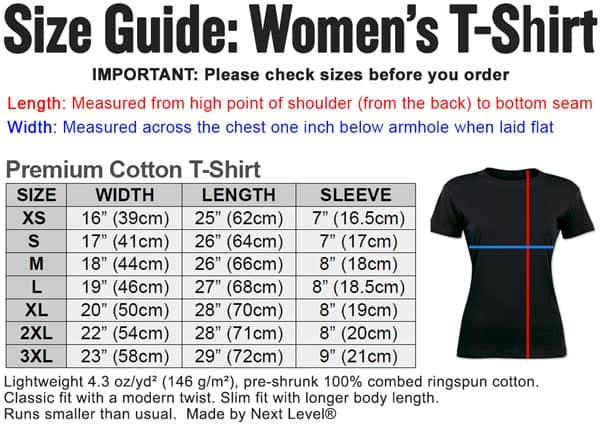 Please check the size guide for sizing before you order. All sizes are standard USA sizes.